If this card is Summoned: You can target 1 monster your opponent controls; destroy it. After damage calculation, if this card battled: You can target 1 Continuous Spell in your GY; add it to your hand. 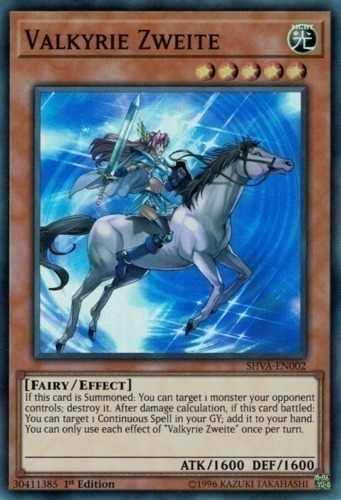 You can only use each effect of "Valkyrie Zweite" once per turn.